Bad Wolves was formed last year by former members of several famous metal bands on the US scene, including bass player Kyle Konkiel (ex-In This Moment, ex-Scar The Martyr, Vimic etc.). After releasing two singles, “Learn To Live” (2017) and “Toast to the Ghost” (2018) they got a number one hit on the US Billboard Mainstream Rock chart with the cover of The Cranberries song “Zombie”, which was supposed to feature The Cranberries singer Dolores O’Riordan who sadly passed away before the recording. Their debut album, Disobey, was released in May, 2018 and did well on charts all over the place with three top 10 positions on the US Billboard Rock chart as well as in Australia and New Zealand. 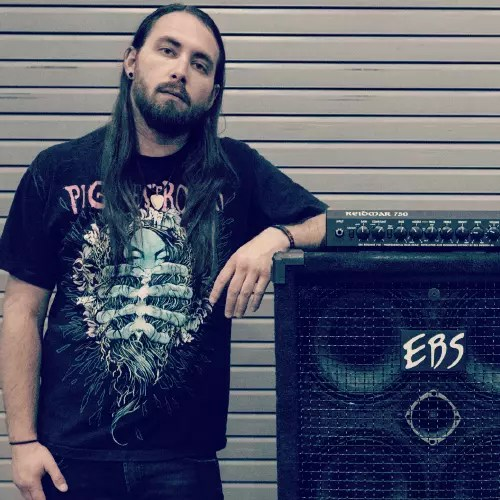 Kyle got onboard with EBS in the middle of Bad Wolves tour along with Five Finger Death Punch & Breaking Benjamin in the summer of 2018, and the band will continue touring consistently throughout the year 2018 in both North America and Europe.